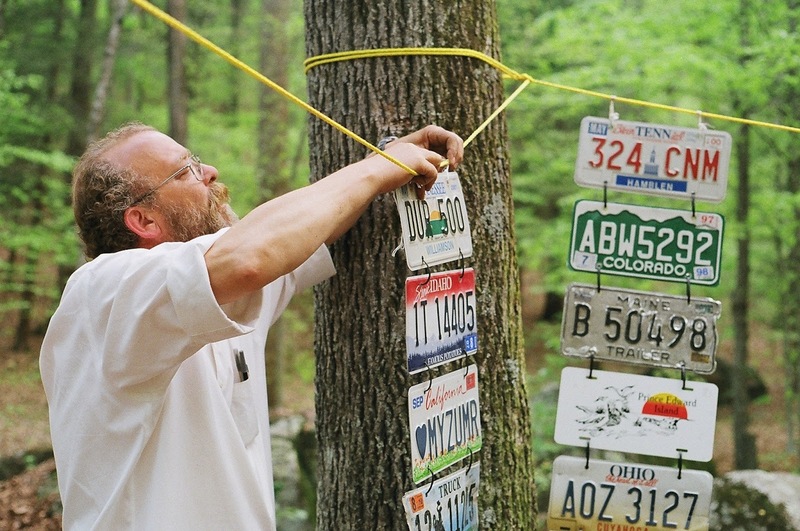 License plate offerings from marathon runners. In my latest PopMatters article, I get lost in incomprehensible game design. It's appropriate that I had actually written an entirely different article about professionalization in esports when I couldn't quite shake the Barkley Marathon documentary. The strangeness of it all, from the unannounced start times to the weird application process, beg to be investigated. 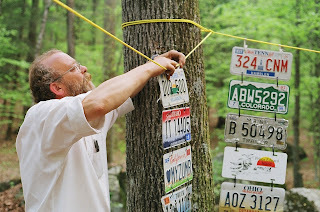 I think part of the reason the runners apply to the Barkley Marathon in the first place is to see if the stories are true. Is it really the hardest marathon in the world? I don't know. I'll never run it. I'm not a crazy person after all. Even so, I'm fascinated by the way people can appreciate the design of something intentionally difficult to understand. I mention it in the article, but I think part of the pleasure is experiencing clarity through the lens of a local. To overcome even one loop of the Barkley is to personalize the course, make it your own. I've started thinking of my time in The Division like that in a way. The open world streets of Manhattan are cluttered, chock full of cover opportunities, and I easily get lost if I'm not following the bright orange line that points to my next objective. But when I wander, it feels like I could get accustomed to the city if I tried. I don't know if it's possible, but I'm tempted to turn off the UI as much as possible and see how I'd fare. I don't think many people would play an open world game that thoroughly confuses players and challenges them (not since Far Cry 2 at least), but I'd like to see what value players could take from a grueling and abusive world.